Do you hate peeling Butternut Squash? I do! I used to have to prepare myself for it. Clear the area. Breathe deeply. Hope for the best (like no trip to the hospital for stitches....). What if I told you that pressure cooking it softens it making it super easy to peel? The skin is so soft after pressure cooking that some people actually decide to not peel it at all. 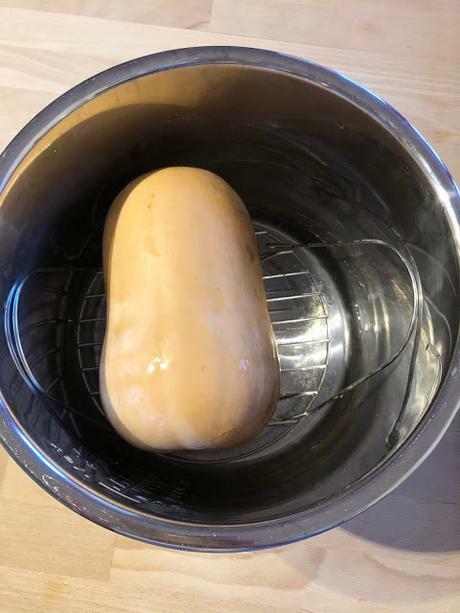 So, do you want to know how to pressure cook a whole butternut squash to make it super easy to peel? It's extremely easy!